Manufactured in Japon from 2002 until 0. 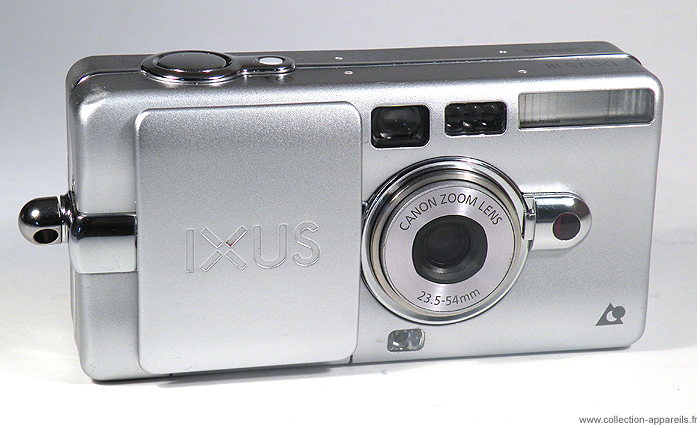 The third generation of Ixus is more compact, credit card format. Its completion is very beautiful, luxurious. The case is out of glossed aluminum, raised chrome inserts. The forms are soft, without marked angles. It is also light (better than its predecessors). A sliding door protects from now on the lens. Entirely automatic, it gets out the best of APS system. Canon coupled the autofocus system and the measure of the exposure, in a system named AiAF (Artificial intelligence Automatic Focusing). Its zoom 23,5-54 mm is equivalent to one 29-68 mm in 35 mm. 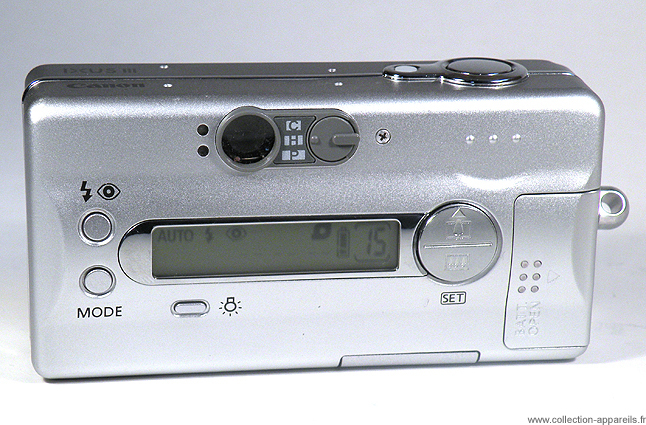 Its price at Camara in March 2003 was of 219.00 €.